Friends, in short, technically, no….no they are not. 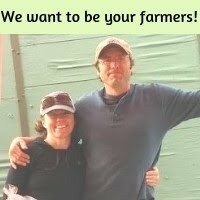 One neat thing about CSA is we have an opportunity in our CSA newsletter to delve a little deeper than I often am able to at CSA pickup/market. So. Let's look closer at that question. I'd like to share a little bit with you about the harvesting process of salad greens, dive (just a bit) into food safety, and round it up with a very long winded answer that still doesn't really answer the question. First, your greens are harvested with Extreme Care. We keep our harvest totes clean. We never set a harvest tote on the ground (!) it either stays on the harvest cart (cleaned every harvest day) or is nestled into another tote which does touch the ground. 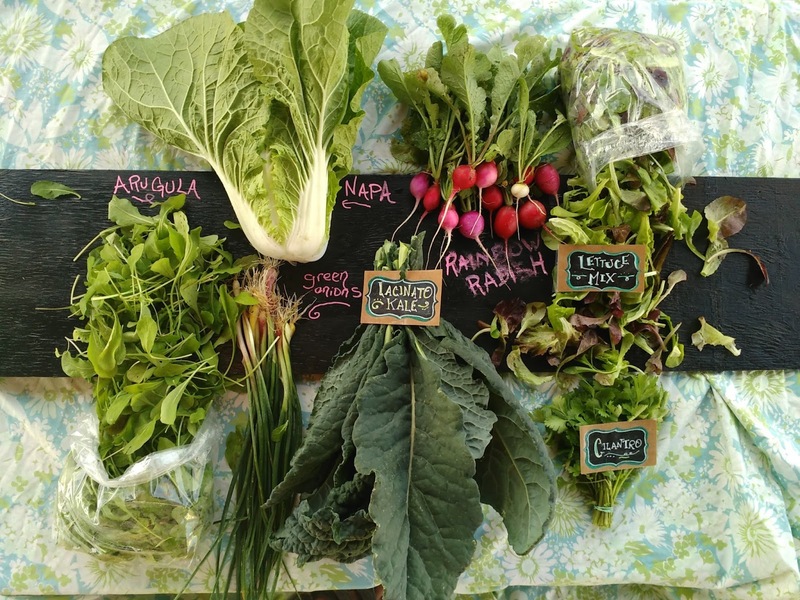 After being harvested, your greens are cooled in our walk in fridge. Then they are hydro-cooled in our crisp, fresh, well water. We fill clean tubs, soak the greens and then rinse them in our commercial salad spinner. I'm very thankful that we have Food Safety Management on the radar at our farm; it's put more intent and focus into our harvesting and post-harvesting, but more than my (TWO INCH THICK) binder full of our food safety plan, what really keeps me motivated to harvest with care is thinking of all of ~you~. Aren't those Easter Egg Radishes just beautiful? Our middle child actually squealed with delight to find a purple radish on his salad at dinner. If you don't care for the spicy bite of radishes remember you can grill, roast, or saute them. Also, the tops on these guys are gorgeous and would be perfect sauteed with your morning eggs. I'm sure most of you have heard of making kale chips. A super neat idea (from Tracy!) are these 'Everything Bagel' Kale Chips. Kale is a pretty incredibly diverse vegetable. I like it sauteed or added to stir fry. The kids, of course, like the chips. And the toppings on the “Everything Bagel” Kale Chips make them super yum. A Napa Cabbage Cole Slaw with Yogurt and Herbs will be perfect for this hot week coming up! 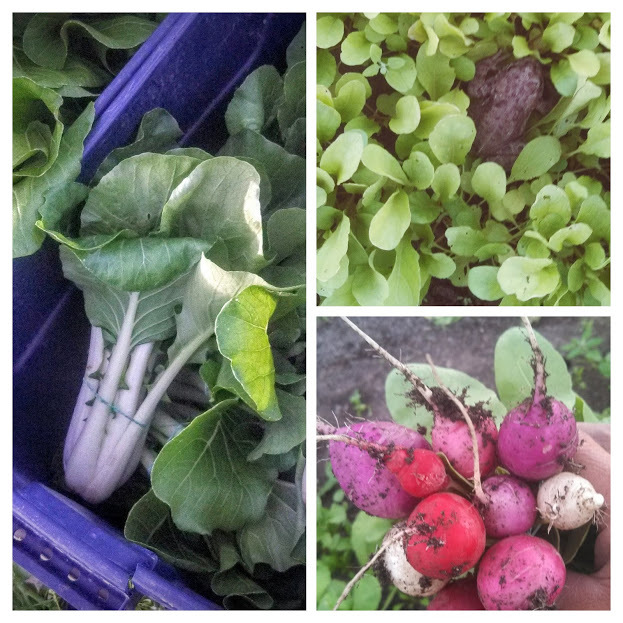 Looks like next week we will have some new things to add including red beets and kohlrabi. We'll see if the dill I planted decides to play along; because dill and kohlrabi are a match made in veggie heaven. Also looks like there will be spinach and red leaf lettuce. Time, weather, and bugs willing….it's getting' hot out there!